It has often happened that by the end of an interior design project involving a newly built home or a renovated one, there would be little money left for a great decorating job. Invariably when looking for interior finishes people purchase the more costly ones. Easy to understand since typically great tile or flooring, that amazing faucet or refrigerator always costs more. This, of course, increases clients’ budgets. Not to mention the unforeseen costs that always pop up in a renovation. (New builds are easier to control). So, most of the time my clients would move back into their homes with their existing furnishings. Then a couple of years later I would get a call to assist them with choosing new furniture, furnishings and accessories such as draperies and decorative lighting. One of the things that has always baffled me is the lack of great table and floor lamps at reasonable prices. As mentioned in my previous article the North American market in light fixtures has been too traditional to my liking for too long. Nothing wrong with a traditional look, don’t get me wrong, but when I am designing a space I look for unusual items. Items that are different from what your neighbour might have. Items which look like they have been lovingly selected over time rather than plucked out of a showroom. Choosing complete furniture sets and accessories is a serious faux pas in my design book. 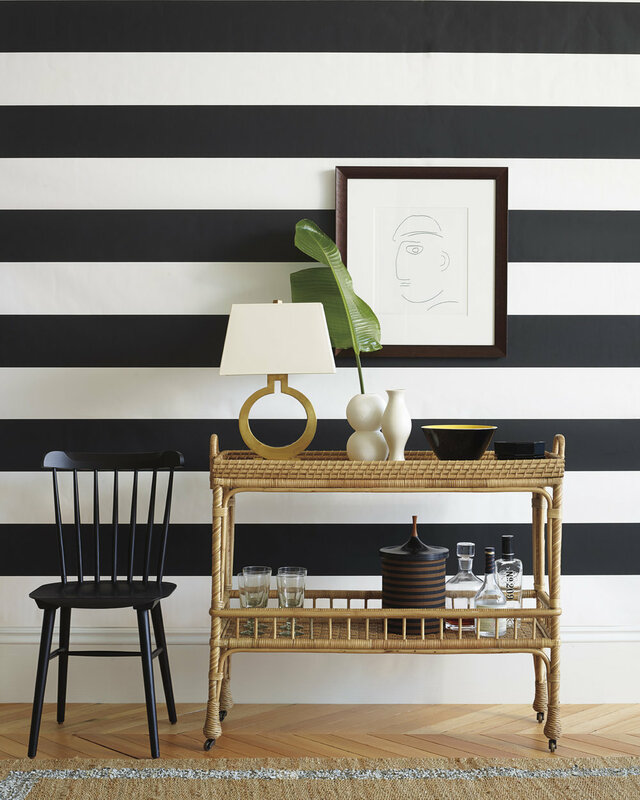 A big challenge has always been finding just that perfect table or floor lamp. There are thousands of fixtures out there to choose from, but the right one is not always available. 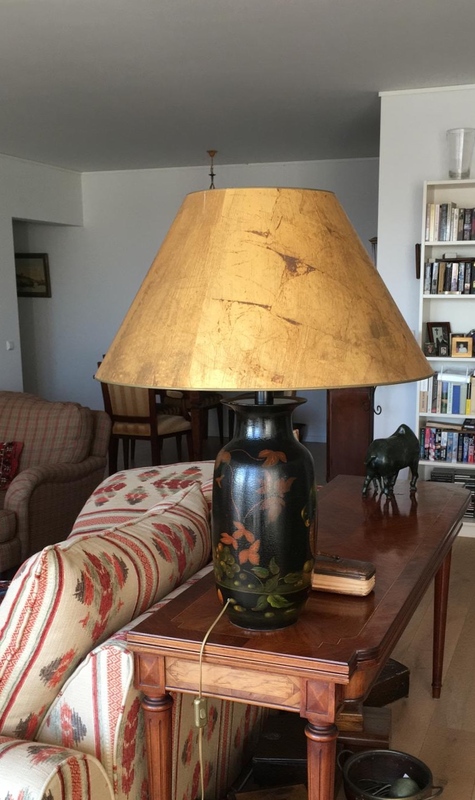 A close friend of mine in The Netherlands owns a few gorgeous table lamps that I admire every time I visit her (see the three images above). Her decor is more traditional with the occasional piece of antique thrown in. What I like about her lamps is that not only are their bases so beautiful (wood and ceramic), but the shades are gorgeous as well. The scale of these lamps is larger than what you would expect, but that is precisely one of the reasons they work so well. Their heights differ from one another (important issue!). Any one of these lamps would show great in any traditional or even eclectic space. I never asked her how many euros they set her back, but neither of the three looks inexpensive! 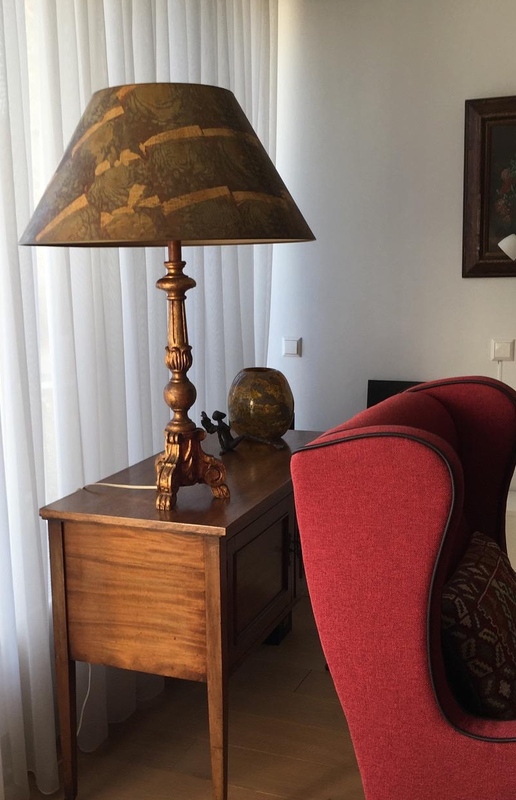 Today I want to highlight at few manufacturers who actually have some great table and floor lamps available, but - and you can guess - not always at good price points. After viewing hundreds and hundreds of lamps, with a gazillion base designs such as square, round, tapered, squirley, leafy, spheres, teapots, animals (monkeys appear to be popular…), well you get the picture, I have only found a few I would recommend to a client. The manufacturer Fine Art Lighting (see above) makes a number of beautiful lamps. These lamps are not cheap though. They can easily cost hundreds of dollars! Often the bases have a gold leaf finish and the shades are typically silk and handmade. As always, you pay for quality. Heck, I even like the names they have given their lamps! Like Fine Art Lighting, Hubbardton Forge is a US manufacturer which makes a some very interesting light fixtures. While the Fine Art lamps shown above will work in traditional and eclectic interiors, the Hubbardton Forge ones are best shown in an eclectic or contemporary space. Again, though, their lamps too are costly. They are typically forged iron with glass, linen or parchment shades. Serena & Lily, also a US based supplier of home furnishings has a wonderful collection of furniture, furnishings and accessories. This company’s style is relaxed but refined California. Many of the items in their collections can be used in a lot of eclectic interiors. But even with Serena & Lily I found few interesting table lamps. Their Darby and Brass Ring lamps are nice, easy to place, but not exceptional in design. But, check them out! Serena & Lily’s Ring Table Lamp in Alabaster. When looking at table lamps there are a number of elements to consider. 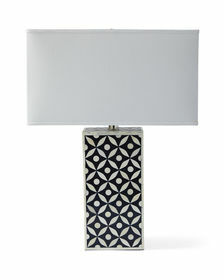 Base or Body - Is the base of the lamp interesting and does it fit your decor? What is the base made of? Is it easy to maintain? An intricately carved wood base is harder to look after than a smooth ceramic one. Shade - The style of the shade needs to work with the base. For instance, I would prefer not to see a round shade on a squared base. I would also not want a square shade on a rectangular (width wise) base. There are many shade styles to choose from: round, drum style, tapered, squared, rectangular etc. Colour of the Shade - If the lamp is to give lots of light to perform a specific task, you will want to select a white, cream or natural colour of material, be that fabric, parchment, glass or acrylic. If the lamp is primarily a decorative element and the lighting it will provide is meant to create an ambience, a coloured shade will do wonders. Black, blue or deep red are great colours for shades. Gold or silver toned parchment is also a great choice. Dimensions - Heights, widths and circumferences are important. 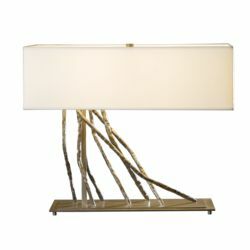 A tall fixture of about 36” will look great on a large, lower side table or chest. Buffet lamps are usually high and they will make a buffet look taller than it really is. Buffet lamps throw highlights on the buffet top. The size of the piece of furniture you intend to place the lamp on will determine the size of the fixture. A narrow sofa table can take a tall, wide fixture. A small side table will be overwhelmed by a large lamp. Quirky fixtures can be placed anywhere. They are more conversation pieces or display elements to smile at rather than hard-working light fixtures (there are a few at the end of this article). In the end it is all about proportions. Access to the switch to turn the lamp on and off is important as well. Some lamps have the switch at the base of the socket. Others have it incorporated in the wiring. If the on/off switch is in the wiring, you will need to have easy access to that switch, not hidden somewhere behind a cabinet where you have to fish for it every single time. That can become annoying over time. Lamping or what many call the ‘light bulb’ is critical. In Canada, incandescent light fixtures are no longer available. Light fixtures now have LED lamps. This means that the way to identify a lamp’s wattage and light output is different. Choose the recommended lamp for a fixture. This can often be found on the socket itself. I am not going to address that issue in this article. This will be done in a separate one. I cannot stress enough the importance of varying the heights of the light sources in a room. A floor lamp is to be taller than a nearby table lamp. Two lamps flanking a sofa can be of identical heights or different heights. A variety of light source levels creates more interest in a room. The space will look more inviting, cozier. This North American supplier has a huge selection of lamps. I am showing three styles here which I find worthy of covering. The first one has a ceramic base which refers to the oriental blue-white bases that have been around for quite some time. I like the modern interpretation. The table lamp in the center is a beautiful fixture which would work well in almost any interior (with the exception of a modern one). 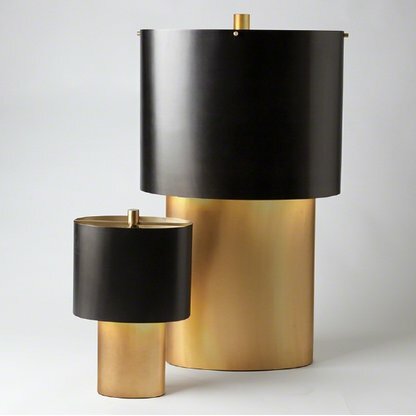 The black shade is striking with the brass finish of the base. The third image shows a base in, what Frederick Cooper calls, Blacksmith/Antique Brass. I like the style but I think this lamp would look so so much better with a coloured shade: black, navy blue, emerald green or deep red. Any of these colours would work and would make the lamp look so much richer. 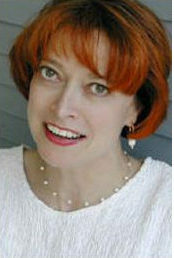 All of the above styles I am showing are good styles for traditional and eclectic decors. But, what about a contemporary or modern style space? Any space falling in this category nearly always makes me consider the ‘Italians’. In particular Foscarini and Artemide. Foscarini provides the Twiggy series, designed by Marc Sadler. This is a series of light fixtures which feature a table and floor lamp, a suspension fixture and a pendant. Its large shade (or diffuser) is made of fibreglass-based composite material and subsequently liquid coated and is available five colours: white, greige, black, cobalt blue and crimson red. 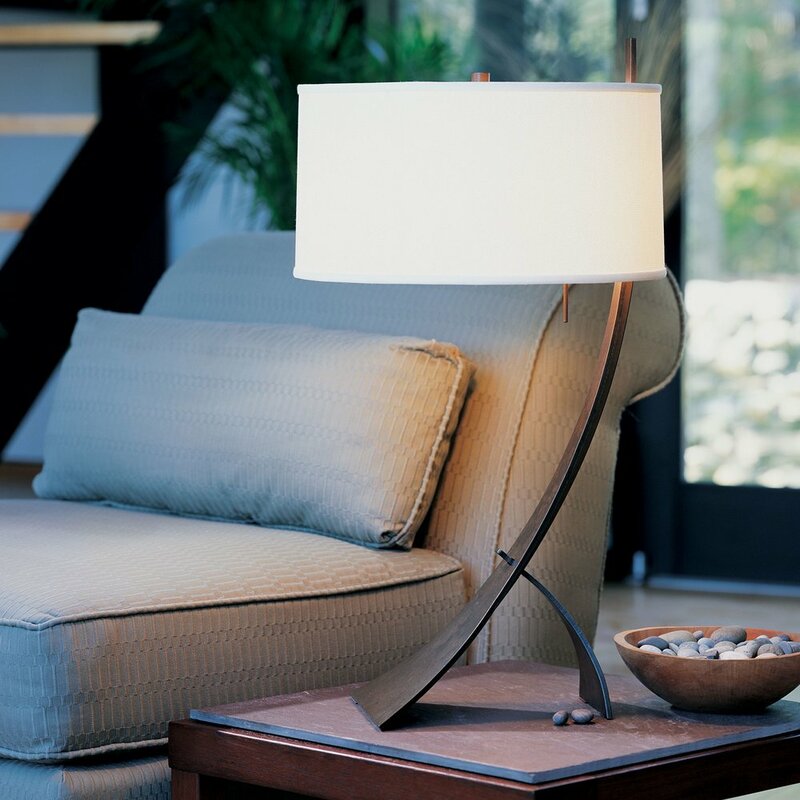 The beauty of this lamp is not only its sleek design, but it simultaneously provides down as well as up lighting. Most lamps in general are either a down light or up light, not both. It has long been a favourite of mine. My previous article on pendants and chandeliers features the Twiggy pendant in cobalt blue. With a fine arched line, this flexible floor lamp magically suspends a large diffuser in mid-air. This floor lamp meets multiple setting and lighting requirements. The Twice as Twiggy floor lamp is an “oversized” Twiggy. It is identical as the Twiggy, but as the name suggests, it is much larger without compromising lightness. The Twice as Twiggy is really designed for large spaces. The Twiggy shade is as large as it is over-reaching. Literally. Twiggy Suspension Light. Location: home of a previous client in West Vancouver, BC Canada. Foscarini’s Birdie collection is available in a number of colours. I particularly like the copper tone. It shows so rich even though its design is so very simple. The branch like attachment is actually a touch dimmer. The Birdie was designed by Ludovica & Roberto Palomba. The material is polycarbonate and coated aluminum. The Birdie style is available as a suspension or pendant fixture, table or floor lamp as well as a wall sconce. An entire family of fixtures. 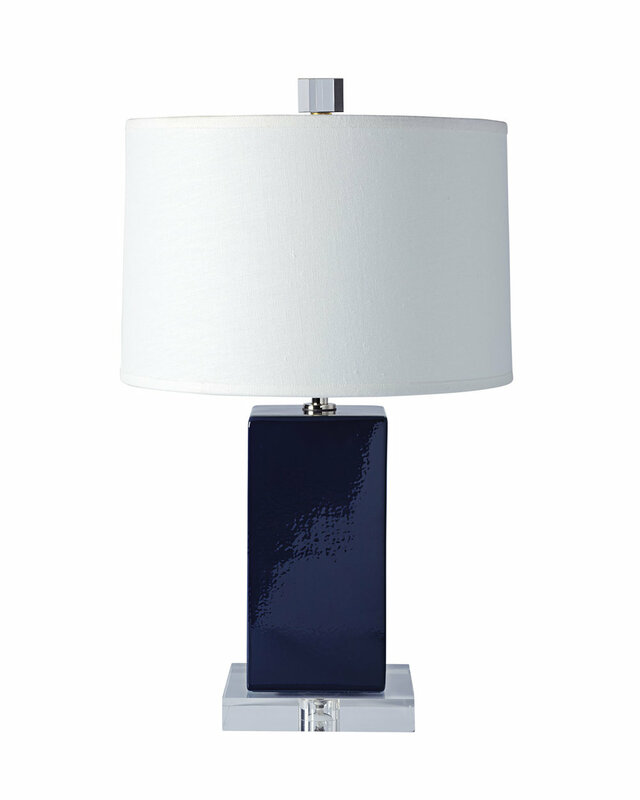 The Mite by the same manufacturer is a floor lamp I have used for a client’s master bedroom a few years ago. (See image on the right below. Note that the lamp is sitting right beside the grey chair in the corner. Sorry, it is an older photo so the quality is not great for digital display purposes.) The lamp has a contemporary presence and is quite tall. Taller than you expect. The material is a mixture of fibreglass and carbon thread that acts as both decoration and frame. It is available in a white or yellow finish. We choose the the white one since the lamp was to be used for reading purposes in the bedroom. The dark grey horizontal lines on the fixture coordinate really well with the grey upholstery of the chair. Design: Sophistique Interior Design. Foscarini’s Mite is shown near the lounge chair in the corner. Before I move onto some quirky lamps which are popular in Europe at the moment I want to introduce you to Artemide’s Fato and Mezzachimera. 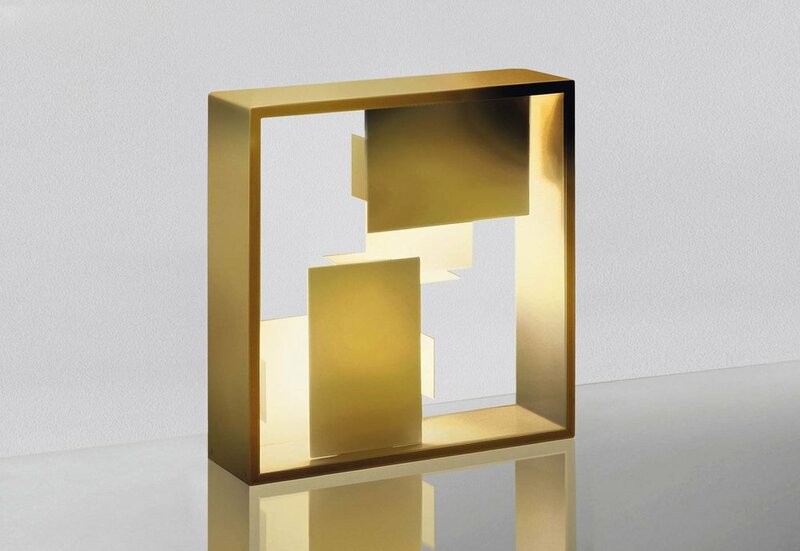 The Fato is a gold leaf contemporary table lamp. The Mezzachimera’s painted metal base and opaque acrylic diffuser is available in table lamp size as well as a floor light fixture. Both Aretmide and Foscarini are two very respected Italian lighting manufacturers. Architects and designers alike use their fixtures not only for residential applications, but commercial ones as well. The collections offered by the two companies never seem to grow tired. Some of their designs have been around for a couple of decades. Most lighting manufacturers offer series of collections of fixtures. These collections feature a particular design which is then available in table and floor lamp sizes. Some collections also include pendants or chandeliers. Others will have ceiling mounts, wall sconces and pendants. While I recommend choosing a family (or collection) of fixed light fixtures for functional spaces, such as bathrooms or a foyer with stairwell, I prefer to see a mix of (mis-matched) decorative lighting in living and sleeping areas. Fixed light fixtures are those which are attached (fixed) to ceilings and walls, for instance ceiling mounts, pendants, chandeliers, wall sconces. Table and floor lamps fall in the category of decorative lighting. But rules are there to be broken! And that makes it fun. To conclude this article I want to show some quirky and fun light fixtures which are finding their way to North America. 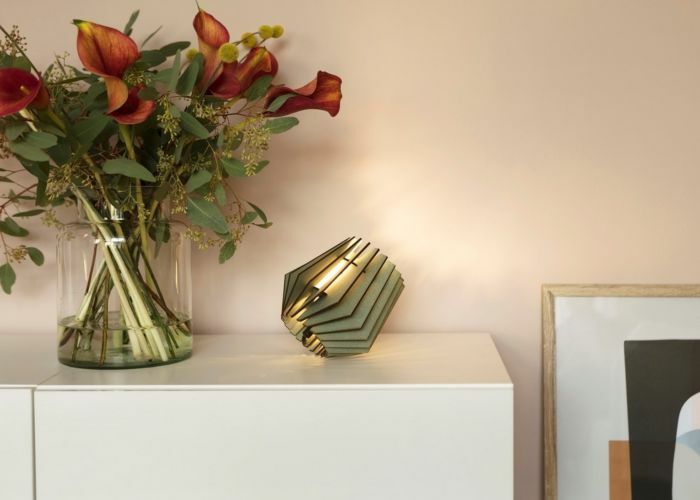 Young and upcoming designers in Europe are finding ways to re-interpret the table lamp and applying new techniques with old materials and vice versa. Take a look. A bit for everyone! Thank you for your visit. I hope you enjoyed it.